Breath new light into shops, basements, and garages with Keystone’s LED Shop Light. Linkable LED shop lights are perfect for illuminating large work areas with consistent light. Link up to 8 LED shop light fixtures, end-to-end, using only one outlet. 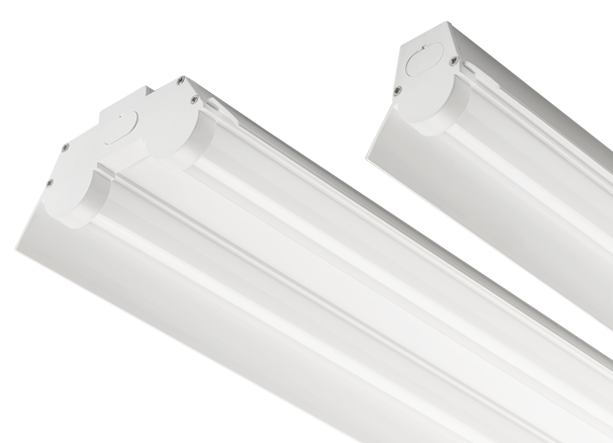 Our sleek, energy efficient, LED shop light fixtures operate on 23 or 40 watts of power, while providing 2,600 and 4,000 lumens of light output respectively. The bright, white, light of a 4000k color temperature makes focusing on the details of a project easy. Keystone’s plug-in LED shop lights are fully assembled and ready to sell. Just plug the power cord into a standard outlet and pull the chain to turn the light on and off. 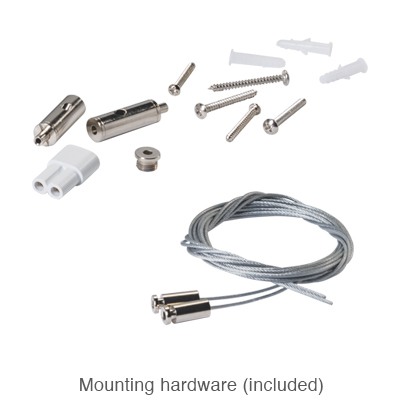 A high quality aircraft cable mounting kit is included with every LED Shop Light.